Meet Maddy, a driven young 22 year old woman with a form of Muscular Dystrophy called SMA Type 2 – Basically a disability that causes muscle deterioration over time leaving Maddy, in a wheelchair and dependent on other people for every aspect of her life, which includes driving her places. 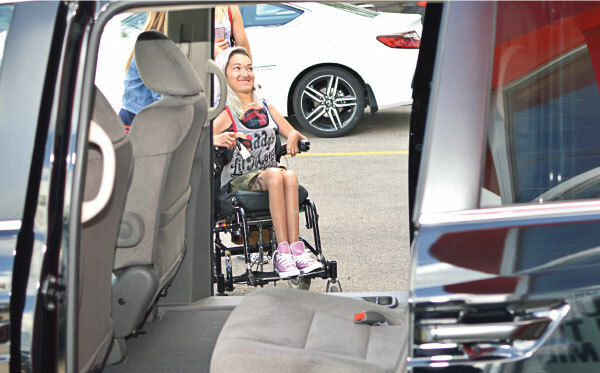 Maddy’s current handicapped built van was ailing due to age and use leaving Maddy, in a situation where going for drives with family and friends was starting to become unsafe as her current vehicle’s reliability was starting to diminish. In particular, her dreams for a trip to California and Vegas were now put on hold. 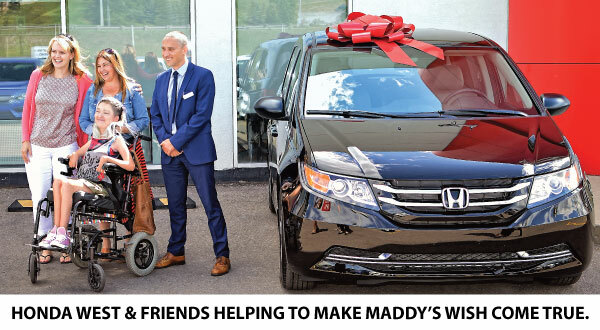 However, with the help of generous donations received from the online donations website gofundme.com, Honda Canada, Wax Advertising, Honda West and the gracious efforts of many individuals tasked with fundraising towards this cause – Maddy, can now realize her dreams of a better vehicle: A brand new 2016 Honda Odyssey van delivered to her at the Honda West, dealership in Calgary. Additionally, donations raised from the entire fundraising efforts will also go towards equipping the van with the expensive modifications needed to make the vehicle easy for Maddy, to access and travel comfortably from A to B. All of us at Honda West are obviously ecstatic for Maddy, and eagerly await for the ‘selfies,’ from her future trip to California to be posted. 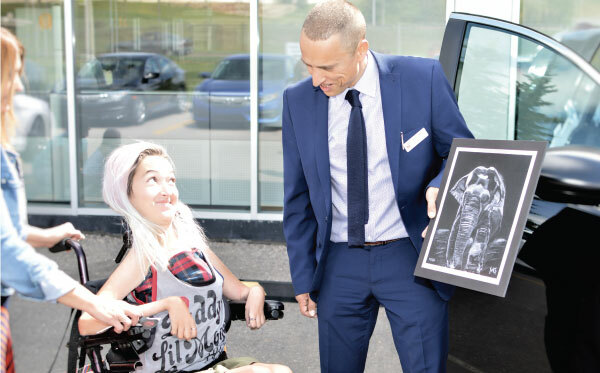 As well; we want to thank Maddy, for her kindness shown to us at Honda West in the form of a beautifully crafted painting created and presented by Maddy to Majed Larbe, our Sales Manager.